Have you ever recorded your class lecture and then spent countless hours listening to the playback? Have you desperately wished that you could just skim a transcription of the audio? Speech-To-Text software—a program that will transcribe pre-recorded audio to text—is a request we at the CSDTech Team get a lot! 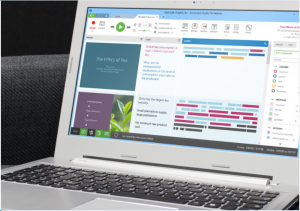 Many of you are familiar with our Text-To-Speech programs from some of our blog posts such as Read&Write, Kurzweil, and built in Mac and Windows readers. However, a holy grail of notetaking still waits to be surmounted—Speech-To-Text. Unfortunately, accurate voice-to-text transcribing is a huge and unsolved engineering problem. In fact, in professional settings, such as a court hearing where every word must be kept in accurate text records, human transcribers are still used! However, we shall not give up hope! The CSDTech team sat down together to brainstorm free solutions for CSD students to try out for the most accurate notetaking transcription we can provide! If you play your phone into your computer mic, Google Voice Typing can recognize the audio and type the recording. This program is not perfect. When we tested this solution, we found we had to slow down the audio to half the tempo before Google Voice Typing could keep up. However, we still had to double check everything to make sure Google transcribed correctly. Here is how to use Google to transcribe your Echo Smartpen audio files. Open up a new Google Doc from your UConn Gmail account. Take your Smartpen and play the audio from it into your computer. We found that normal-speed audio is too fast for Google Voice Typing to keep up, so we need to slow the playback speed down. On either the bottom of your notebook, or on a separate bookmark, look for an option to reduce playback speed. Put it on the lowest setting. Monitor the speech recognition. As the audio plays from the Smartpen into your computer, be sure to listen to the recording and follow along with what is being typed. Pause the recording frequently to allow Google Voice Typing to keep up, and allow yourself to edit as you go. Sonocent is a software that listens to audio and puts it into smaller, more manageable chunks, which you can play back and listen to as much as you need! The software listens to natural pauses in the speech and chunks the audio. People pause longer when they are changing topics. By using Sonocent, you can write about a one idea at a time and work at a pace you’re comfortable with. Dragon is a software that you train to recognize your voice. The training allows Dragon to be about as accurate as speech to text can possibly get with today’s technology. You can play your audio recording into Dragon software and have it try to type your file. This software is only on CSD computers, so you will have to visit the Storrs office to use it. This service hires professional note-takers to create an outline of any audio recording uploaded to the site. Since professional note-takers (not artificial intelligence) are listening to the recording, the content is more accurate. However, this is not a word-for-word transcription. Notetaking Express is only for lecture outlines. There is a multitude of audio transcribers on the market. Dragon is the leading brand name for transcribers, but there may be cheaper alternatives available that you can find. No accurate speech-to-text transcribers are free. This entry was posted in Tech Blog and tagged assistive tech; speech to text; google voice input; sonocent; dragon; notetaking express; voice recognition; recording.